To the untrained eye, the new Specialized Enduro might not look entirely different–after all, it still has its familiar X-style frame design. But that general aesthetic is about the only thing that carries over from the previous generation. That, and its ability to make you feel like a better rider than you actually are. Upon closer inspection, you'll notice that, while the basic form of the bike is familiar, it is in fact an entirely new design. The first thing you might notice the S.W.A.T. Door first introduced by Specialized last year on the Stumpjumper, which consists of a hatch that opens to create storage space inside the downtube. If you haven't heard about it or experienced it yet, it's a pretty good idea. I use it to hold a spare tube, tire pump, shock pump, patch kit, and an ultralight jacket. Packing for a ride is a much faster ordeal when your bike is already stocked with spares. But the S.W.A.T Door is just the beginning. In some uncanny, oxymoronic way, Specialized made the Enduro 29 better at climbing and descending at the same time, while also increasing the travel to 165 millimeters and relaxing the head angle. 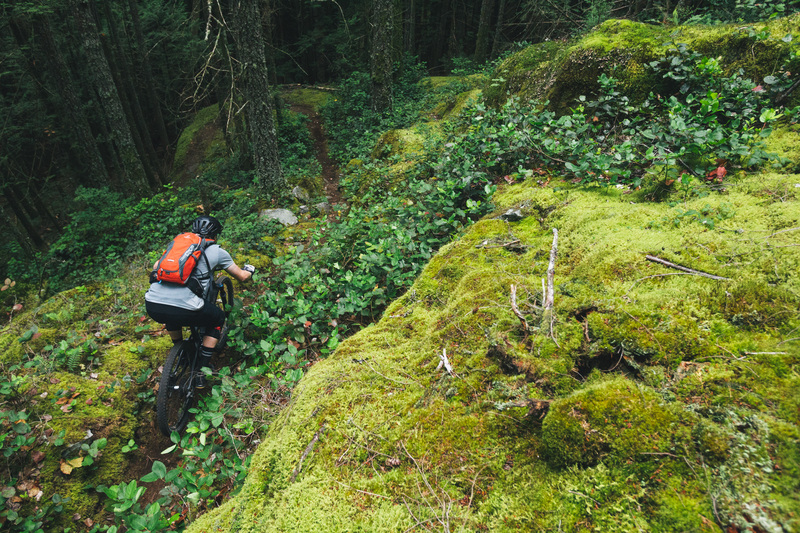 For the launch of the bike, Specialized brought us to British Columbia's Sunshine Coast to ride some of the region’s finest singletrack. 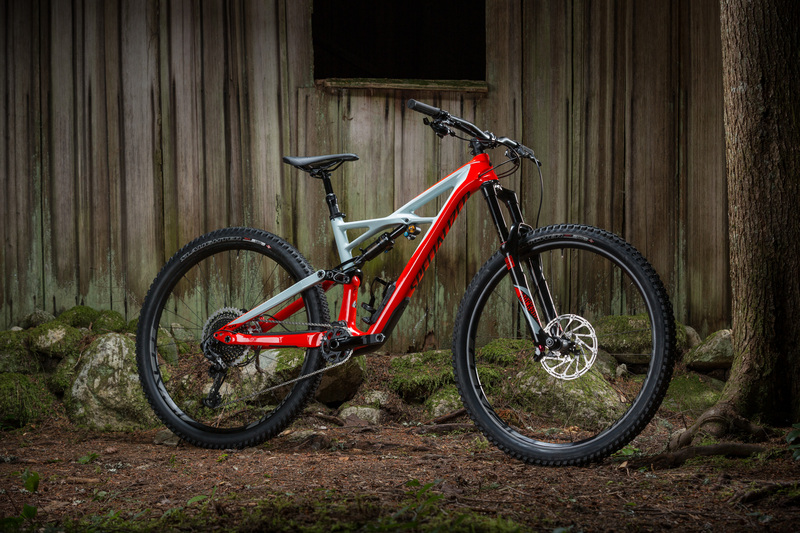 What amazed me most about the Enduro 29 was its ability to scale the multitude of steep, punchy climbs with confidence and stability–two adjectives normally reserved for describing descending characteristics. I expected the front-end to wander around like a lost kid in an amusement park, but it stays put, just like it's supposed to. I never found myself fighting to keep the front wheel on the ground or tracking straight, even on the punchiest of climbs. I suppose this can be attributed to the 76-degree seat tube angle, which is one degree steeper than the previous generation. But then there's the 1.5-degree slacker head angle, which went from 67.5 to 66. You'd think that would make the bike climb worse, but when combined with the seat angle, it's unnoticeable on the climbs. But when you get the bike going downhill, that 66 degree head angle is most definitely noticeable. It's incredible just how well this bike handles steep descents, especially after having witnessed its ability to clean one series of daunting climbs after another. 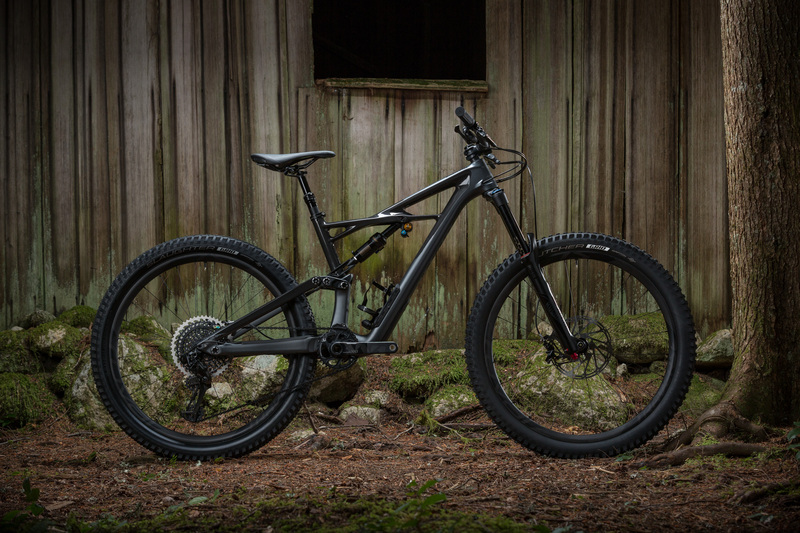 There's no two ways about it, this is the most capable Enduro Specialized has ever made. 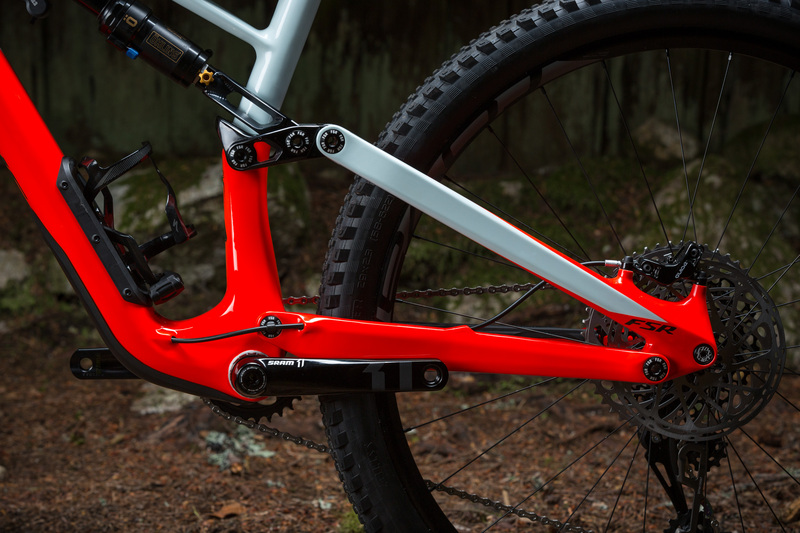 Let's talk about some of the finer details of the Enduro's new frame, starting with the bottom bracket shell. It's threaded! That's right folks, one of the largest brands in the land has gone back to BSA. Not only is this amazing for this bike in particular, it might just mean that PressFit is finally on its death bed. Hallelujah. This news might take the spotlight away from another nice update that I find to be a major improvement, but I’ll mention it anyway: cable routing. For years, the cable housing on Specialized bikes has looped under the bottom bracket on its way to the chainstays. Not only does the new Enduro go from external routing to fully guided internal routing, it also sees the end of the ‘lazy loop,’–the housing now runs beside the bottom bracket rather than underneath it. Reworked cable routing has rerouted the rear brake and derailleur cables so that they no longer dangle under the bottom bracket. With the major changes to the Enduro chassis explained, there's still plenty to talk about parts-wise. Specialized is offering four build kits in two wheel sizes, starting at the aluminum Enduro Comp at $3,000. The aluminum-framed Enduro doesn't have the S.W.A.T door in the downtube, but it does give you much of the same functionality that we experienced on the $4,400 Elite Carbon model for a bit less dough. And while we're talking about it, the Elite Carbon is one hell of a bike for the price. It's not full carbon because the seatstays and chainstays are aluminum, but it's got a SRAM GX 1 x 11 drivetrain, Guide brakes, RockShox Lyrik fork and Monarch Plus shock, and a trail-demolishing attitude. This was the spec I rode for three days on the Sunshine coast and it was more than enough to impress. Then there are the upper echelon models, the S-Works ($8,500) and Pro $6,500). Both sport full carbon frames, including seatstays and chainstays, and custom �–hlins STX shocks, though just the S-Works matches it with a RFX 36 fork–the Pro features a RockShox Lyrik, which is no slouch itself. These bikes also come with SRAM's new 12-speed Eagle drivetrains, which feature a 10-50-tooth cassette, giving Specialized the ability to bump chainring sizes up by 2 teeth while still offering a lower granny gear. The one spec that doesn’t keep up with the rest of the bike is the seatpost. We love the functionality of Specialized's Command Post, but we wish it had more travel. 125 millimeters is just not enough anymore, especially on a bike that's as comfortable on the steeps as this one. There is a clue that this will be changing down the road, though, because for the first time in many years, Specialized is using a different seat tube diameter. The 2017 Enduro has a 34.9-millimeter seat tube with a reducer to 30.9-millimeters so the current Command Post will fit. This indicates that there's something new in the works, hopefully with more travel. Specialized is offering the four models described above in 29er and 650b (the 650b models have 170 millimeters of travel front and rear). The 29er frame is also compatible with 6Fattie (Specialized's term for 27.5+), but in an effort to keep the number of models offered at bay, is not available to purchase as a complete bike with baby-fat spec. But the new 2.6-inch tire (U.S. only) on the 650b model will get you awfully close. If you're looking for a downhill bike that you can take on all-day trail rides, the new 2017 Enduro is a good place to start. 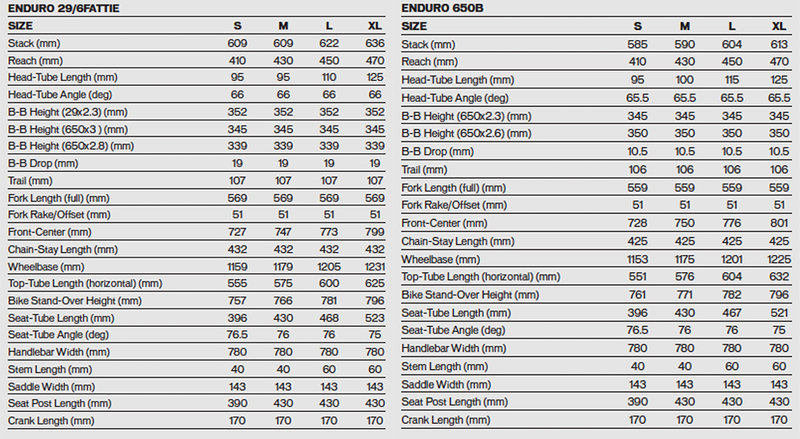 Full spec and pricing info on Specialized.com.